My 10 month experience with Apple's biggest redesign since the original iPhone. When Apple showed off the iPhone 8 and 8 Plus at the 2017 Apple Special Event, it was quickly eclipsed with the announcement of the highly anticipated iPhone X. Why? It would be Apple’s most drastic redesign of their most popular product, the iPhone, marking its tenth anniversary. By the end of the Special Event, the internet was buzzing with iPhone X news that contained a variety of both positive and negative first impressions of the device; the insanely high price tag of a $1000 and of course, the infamous notch that gave birth to a galore of memes. While the phone itself did not go for sale until early November, An estimated 40 million pre-orders forced Apple to push back delivery dates well into mid-December. Now that all the hype has settled and the market is (to a reasonable extent) swarmed by the “top-notch” smartphone trend, it is essential to review how well the X has aged within the first ten months. My central focus in this article is going to purely be on the utility aspect of the device. First of all, I am not at all going to beat around the bush concerning its enormously high starting price of a $1000. In fact, ten months in and we still hear this to be one of the biggest deterrents of the X for many buyers. But Apple’s target market for the X are the ones who want to see what the future of the iPhone holds and how they can get their hands-on the closest thing to that vision. For the more budget-conscious consumer, Apple is preserving their lineup of the iPhone 5s, 6s/6s Plus, 7/7 Plus, and of course the iPhone 8/8 Plus – all coming at varying price points. The Apple calibrated 5.8’’ Samsung-made OLED display has gained high praise from DisplayMate. Apple has been perfecting LCD technology for years and they’ve entered the smartphone OLED market with a good start. With an unusual 19.5:9 aspect ratio as opposed to the standard 16:9, the display does have its downsides especially in media consumption. It may not be as vivid as those found on the Samsung Galaxy S9 and S9+ but that is more like a high praise for the S9 display than a negative for the X. I was a long-time LCD smartphone user and I will be honest, when I first saw the phone at Apple’s launch event, I was not as blown away by its display as I was seeing it in person. However, looking at the phone in person, there is no denying that it is an exquisitely made smartphone. Ten months in and my sentiments towards its aesthetic beauty is unchanged and its display is a big factor in this conclusion. I can safely speculate that Apple’s decision to curve the display at the bottom to remove the chin bezel was a well-thought out decision by the engineers to make the X stand out in a crowded bezel-less smartphone market while also accommodating Face ID as the new standard for biometric security. Speaking about the display and Face ID, Let’s talk about the now infamous notch. Sure, the iPhone X brought a true and total redesign for the iPhone that fans were craving for. But it also brought the notch that gave the internet loads of fresh meme and parody material (not to mention other competitors like Samsung). There is no sweet talking that the notch isn’t there. It is visible and it is not going away (at least for the foreseeable future). Over time, most users tend to embrace the notch as a natural part of their interaction with iOS on the iPhone X and it truly does become second nature for many. Moreover, by now, a majority of the apps on the app store have been updated to take advantage of the new display ratio, further assisting in getting accustomed to the notch. The hard truth is that the current technology does not allow a reliable way to embed the front camera, sensors, and Face ID assembly within the display to get a truly bezel-less smartphone. Diving deeper into that notch, we will revisit the tech which forces us to say goodbye to the iconic iPhone home button and Touch ID. Face ID is Apple’s new bet on hardware-based security for mobile devices. I got to admit, using the X as a daily driver for this long, Face ID’s secure aspect and its capabilities grow more apparent compared to the mere gimmicks that some android phones just casually add as a layer of security for unlocking a smartphone. Face ID is pretty polished and it JUST WORKS (9 times out of 10). You might recall that following the iPhone X release to the public, a variety of videos coming out where tech reviewers attempting to fool Face ID in rather creative methods. Sure enough, Face ID did emerge undefeated except in cases of identical twins. Apple can even go so far as to recognize your face when you’ve got a few accessories like a hat and sunglass on or even if you grew a beard over time. I cannot, however, say that I do not miss Touch ID at all. Touch ID did have conveniences like unlocking the phone while laying flat. Current Face ID technology simply isn’t as sophisticated to scan your face beyond a certain range of angles. Furthermore, the animation speed of unlocking it could be snappier and skip the slight delay it currently has. This snappiness, of course, is slowly getting accommodated with a series of software updates in iOS 11 starting from iOS 11.3 with the most dramatic update coming in the newly announced iOS 12. Overall, Face ID on the iPhone X is definitely sophisticated and secure but it comes at a cost of speed and convenience which Apple can refine through future software updates. Lastly, no iPhone review is complete without addressing the software aspect that defines the success of the device. Sadly, however, the current iOS 11 (excluding iOS 11.4) has been nothing but a barrage of unusual bugs that have sometimes compromised the security of the iPhone itself. The feature-rich but unpolished nature of iOS 11 also affected the battery life of the X.
I feel that the disastrous release of iOS 11 had also hindered the iPhone X from reaching its absolute potential in terms of its overall user experience and performance. Fortunately, performance, stability, and optimization take precedence over features for the newly announced iOS 12. On the other hand, minor let down like the absence of battery percentage and sometimes overly long transition animations could use some refinement. Only future software updates can truly unveil the X to be its best. To conclude, the iPhone X did bring a fresh new breath to the traditional iPhone design but it also meant users had to adopt Apple’s gesture-based user interaction model. I will admit the gestures are pretty intuitive and responsive while also being swiftly user-friendly and easy to catch on. At the same time, the phone also forces the user to compromise with certain other features like Face ID and accommodating the notch into your daily usage patterns. My biggest gripe will be on the high entry cost this phone commands. With that in mind, ten months later, I can confirm that iPhone X is a balanced compromise not for the masses but for the few who want to see where iPhones for the next decade are headed next. 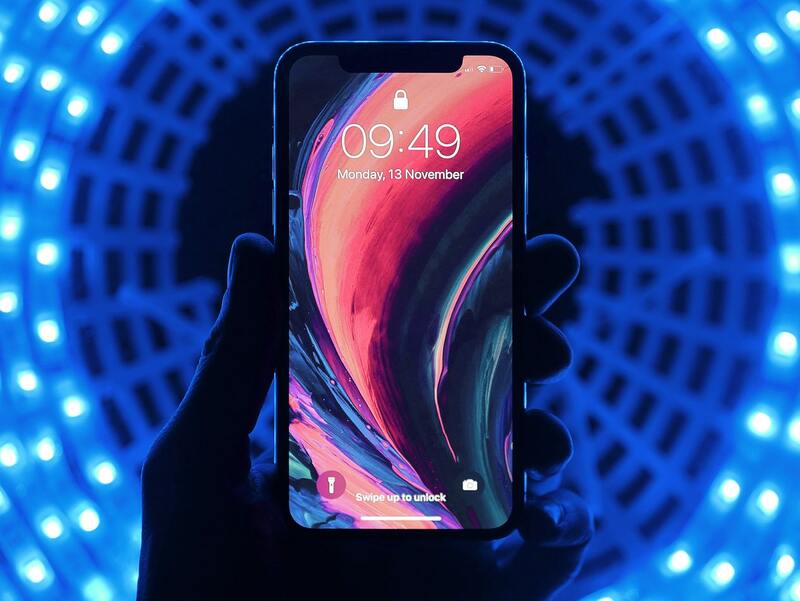 With Apple’s new lineup of iPhones primed for launch on the 12th this month, one can only hope the successor to the X resolves the main drawbacks of it’s predecessor. A student studying international relations at Carleton University in Ottawa, Canada. On the side, I love everything technology and enjoy talking about AI, Augmented Reality and Machine Learning with my techie friends and how it has the potential of impacting us on a global scale. Smartphones interest me greatly and I enjoy going about relating this technological marvel with deep integration in our lives with its powerhouse, the Apps. On the side, the practicality of technology in global events interest me greatly because I believe the current information age has brought in a new wave of technological advancement that has a direct correlation with an individual behaviour and lifestyle. This is what can make me dive into an endless conversation both casually and academically. watchOS 3 is the update that we’ve all been waiting for!